The university has launched a new joint program in music and business administration, but is suspending a path for music teachers. Amid wider reviews of courses and programs at Memorial University, the instiution is reassessing its music education program through the faculty of education while adding a new joint program in music and business administration. "We are not suspending the program, we are reviewing the program," said Kirk Anderson, the education faculty's dean, of its program that allows students to earn both a Bachelor of Music and a Bachelor of Education. Previously, the music education program could be completed either as a conjoint degree — in which the music and education degree programs are done at the same time — or as a second degree, where a degree in education is completed in about a year and a half by someone who already has a bachelor's degree in music. The faculty has been looking over its programs in recent years to address budget cuts and enrolment numbers, Anderson said. The conjoint degree option has been suspended while the program is reviewed, he said, just as the similar bachelor of education degree with French specialization was a few years ago. However, the second degree option that allows students to complete a bachelor of education after a music degree is accepting new students, he said. In fact, he added, the faculty is hoping to boost numbers for the program, which has always been small but has had declining numbers in recent years. "That's still there and we would encourage people to sign up for the program, get in, and help us with our numbers, certainly," he said. The number of people in the bachelor of education with a music specialization program has been as high as 21, Anderson said, but had about 10 or 11 students last year. Only a single person is enrolled in the conjoint option, he said, and they will be able to finish despite its overall suspension. Music education is not a program that will ever be large, he said; 25 would be an optimal number, and the faculty is looking at how it could get its numbers to that level. But while he said a review doesn't mean the music education program, or any other, will end, Anderson acknowledged that reviews of programs could ultimately mean that some do not survive, given enrolment numbers and budget constraints. "We have to understand in this province that there are some programs that won't have large numbers, and we have to factor that in," he said. Pointing to redeveloped degrees in primary/elementary and intermediate/secondary education, though, Anderson said he's optimistic the music education program can also be made stronger. "Our aim is to save the program, not wind it down." At the same time, Memorial University has announced a new music-focused program that is a Canadian first: a joint music and business program that will allow students to complete degrees in both music and business administration in five years. "This is the first program in the country, actually, that marries a full bachelor of music degree, with all the fantastic musical and artistic development that goes along with that, with a full bachelor of business degree as well, which provides a lot of skills and competencies to find new ways to apply that bachelor of music degree out in the world," Ian Sutherland, dean of the School of Music, told The St. John's Morning Show. There is a lot of student interest in the new program, said Sutherland, who floated the idea when he interviewed for the position of dean a couple of years ago. 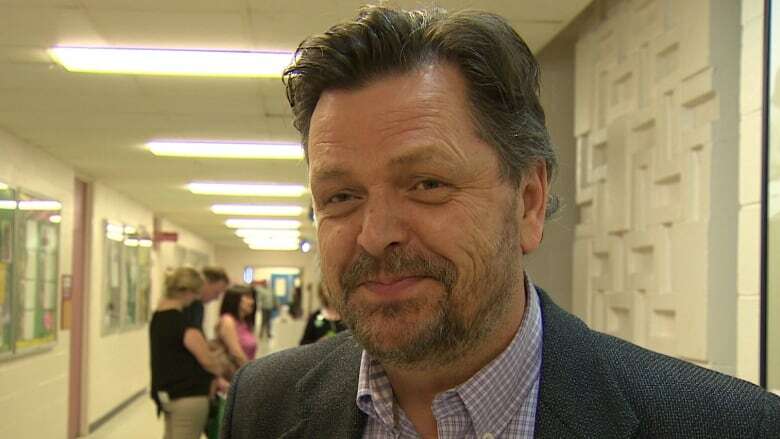 Part of the impetus for the program was a Music NL study suggesting the music industry contributes $51.5 million each year to the province's economy but the number of music jobs in Newfoundland and Labrador is nearly one-third below the national average, he said. "We're trying to train musicians and business professionals that are going to make real wonderful careers once they graduate from Memorial University," he said. "Having that business acumen built into a program of development that they can take is going to better prepare them for those kinds of careers that music students have been doing for many, many years." The headline of a prior version of this story may have led readers to think the music education program has been suspended. In fact, one of two paths in the program is suspended.